Yesterday was our 5th day of caffeine-free sobriety and rawness on our 40 day challenge. Without the defaults of coffee shops, bars & cooked food restaurants, Kelly & I are always on the search for cheap, sober things to do in Austin. 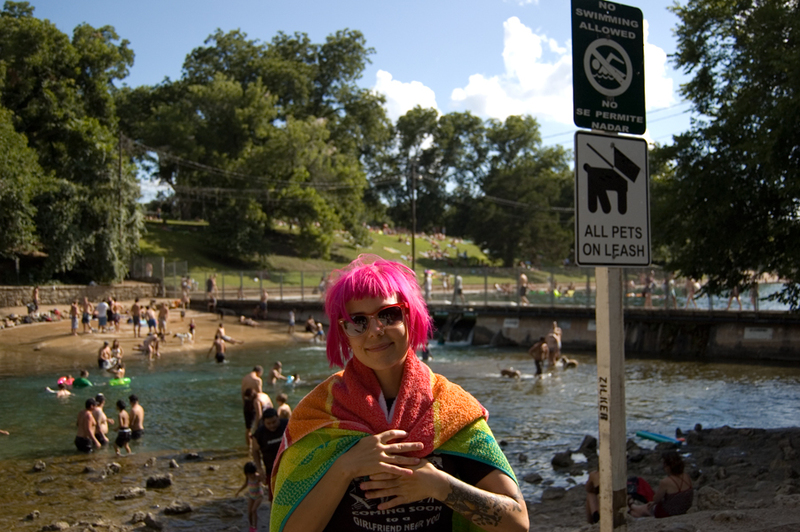 One of our favorite places to go for a 100-degree-afternoon break from work is Barton Springs, a 68 degree pool fed from underground springs. You can pay $3 to swim in the pool, or you can go to the free side on the other side of the fence. Surrounded by copious "no swimming" signs, the free side of BS is always packed with families, dogs, & stoners alike. 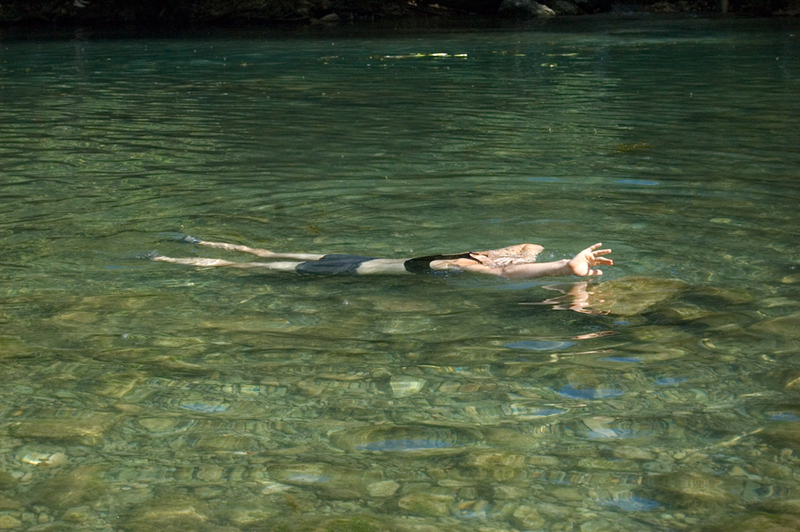 The best part of the free side is that you can walk down the trail to a secluded nook for your own private swimming hole. There are plenty of rocks to sit on for meditation & straight chillin. Where else can you have alcohol- & money-free fun in Austin? Where do you go when you're sober, broke & burnin up?